Looking for more substantial raw dishes that can be eaten as a main course? Think outside the salad bowl with our curation of raw vegan entrees! 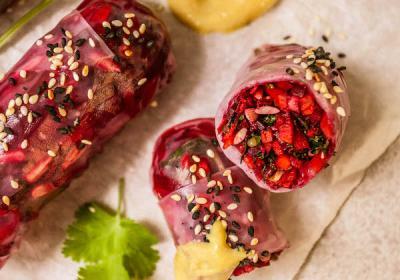 While these "rainbow" spring rolls by Chris Anca of Tales of a Kitchen may not contain the full rainbow color spectrum, they are full of rainbow veggies, which definitely counts in our book. This recipe is so easy to make, so versatile and fun to enjoy. And the best part - zero cooking, so you won't have to heat up the house to prepare your meal. 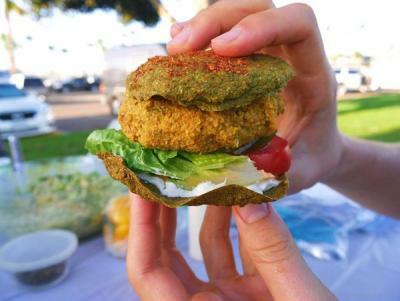 This veggie burger recipe by Marina Yanay-Triner of Soul in the Raw is packed with deliciousness, is simple and easy to make, and has tons of healthy ingredients, unlike, you know, the standard thing. 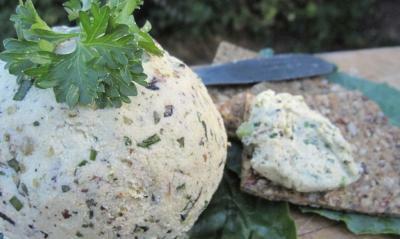 Serve these with a piece of lettuce, some tomato, onion, and of course, some raw vegan bread. Or you can use a portobello mushroom instead of bread as another healthy, raw option. 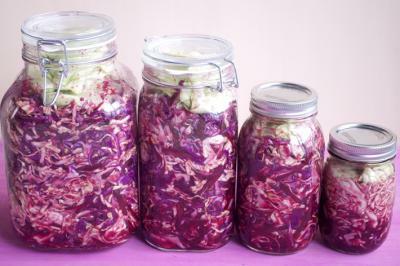 Add some home-made sauerkraut for added flavor! Laura Dawn says "A dear friend who taught me so much about gardening and food preservation taught me this one. Hope you enjoy!" Cultured foods have been consumed by humans since ancient times, and for good reason. Their list of health promoting benefits is extensive and getting more attention as people recognize the correlation between our health and the types of bacteria we consume. 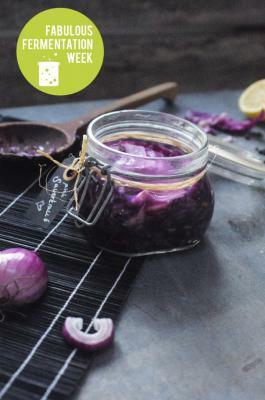 This is a great recipe to get you started on your path to making cultured veggies in the convenience of your own home. 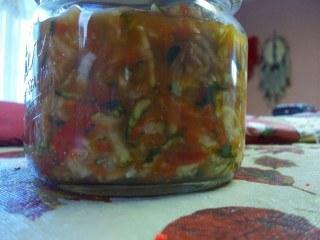 I am excited to say I am really into fermenting and my ferments are turning out so well. 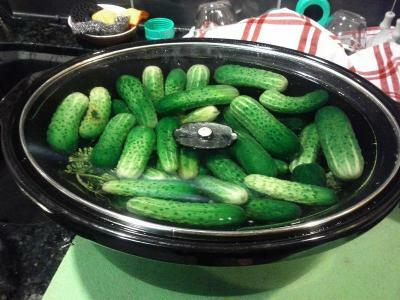 I made the best pickles ever, and all raw! Long gone are the days when finding a tasty cheese alternative was a difficult feat! If you're looking for a yummy, tangy, creamy, totally spreadable raw vegan cheese with tons of flavor and nutrition than this is the perfect recipe! 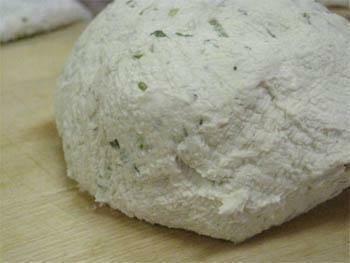 This cheese is actually cultured with healthy probiotics for a very authentic cheesy flavor. You can really go wild with this base recipe, adding to it all your favorite spices and herbs to adapt to your various recipe needs. 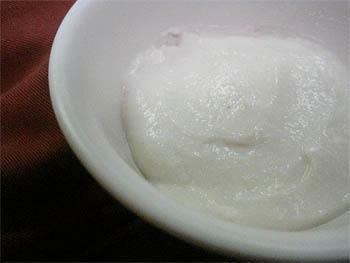 Mix up your kombucha drinking experience by making a light, whipped to perfection fruit and kombucha frostie! 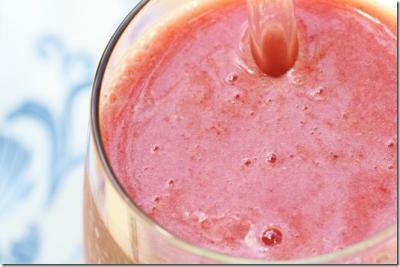 This recipe by Gena Hemshaw combines frozen fruit with GT's Synergy Kombucha (or your own home brew!) and a touch of fresh lime juice. The flavor outcome will vary depending on what flavor of kombucha you use, so play around and have fun with it! Conventional sugar and artificial dye loaded frosties aint got nothing on this organic recipe full of healthy probiotics! Many people are turning to home brewing their own kombucha as this ancient fermented beverage grows in popularity. You may already know that kombucha is cultured using a "scoby" or "kombucha mother", which is a rather unappealing mushroom/jellyfish looking colony of probiotics and friendly yeasts. Not the most appetizing thing to look at, we can attest to that. However, the end result is a tasty, health promoting fizzy drink that can be flavored in a variety of ways and is so enjoyable to drink! Kombucha originated from China during the Tsin Dynasty where it was referred to as "Godly Tsche" and was used to, among other things, improve digestion and promote longevity*! 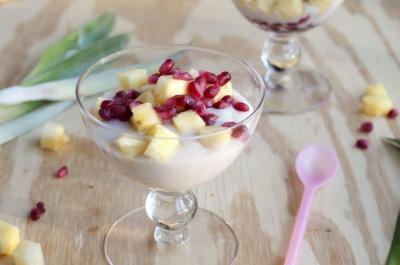 Follow this recipe and instructions by Amanda Maquire of Picklesnhoney to create your own! If you've tried kombucha and love it you've probably wondered how to make your own as a fun experiment or just to save money! 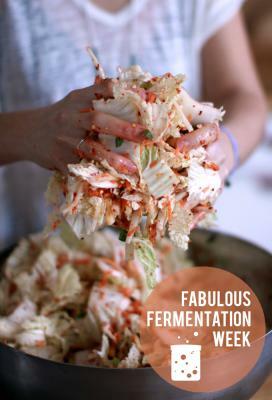 Amanda Maquire has perfected the art of home brewing kombucha and shared this recipe on her amazing blog Picklesnhoney. The sky is your limit as far as flavoring your kombucha. The trick is getting your culturing process down to ensure the best flavor, optimum acidity levels, and an end result that is free of icky bacteria, we want only the good stuff in our kombucha! 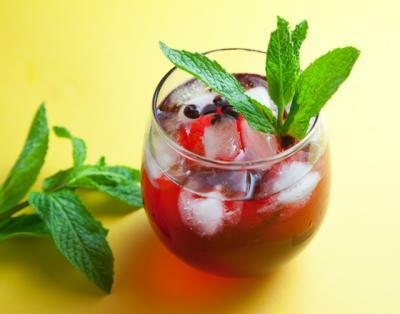 In this particular variation Amanda used blueberries to flavor her kombucha. Simply add in a few tbs of frozen blueberries right before you bottle it up. You can also try mango, pineapple, goji berry, strawberry, blackberry, or try juicing fresh ginger and adding this prior to bottling. Drink your homemade kombucha and experience the health benefits such as improved energy and digestion, more balanced pH, and free radical protection! This recipe was adapted from kombuchakamp.com. 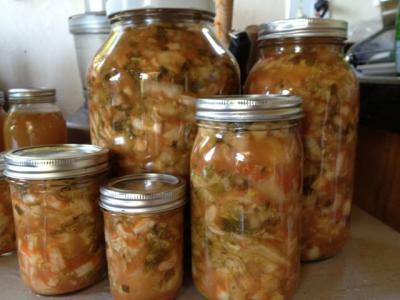 Please see Amanda's other recipe here on RawFoodRecipes.com "Growing a Kombucha Scoby".